CLEAN AND TIDY BUNGALOW in Ennismore. 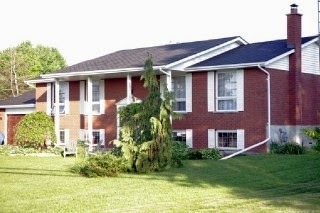 Location is wonderful as it gives easy access to Peterborough, Lindsay and Bridgenorth. This property features large country lot for family play, single car garage, 3 bedrooms, & 4 pc bathroom. This home has large principle rooms, bright and cheery and updated windows and painted modern colours with crown molding for that finishing touch. Kitchen has also been updated for your family meals and cooking. The basement has been prepared for your finishing touches of a games room or your man cave. Home completed energy audit a few years ago and insulation was extensively upgraded. Just move in and enjoy. Residential - Great location to raise a family! Ennismore bungalow on a lovely 107` x 152` country lot with rear yard being fenced in. Enjoy the large rear deck and hot tub after a long day at work. Two garages so your wife might be able to park her car in the garage after all while the other garage is for your toys. Inside this large home with foyer you will find a monster main floor living room, 3+2 bedroom, 3 bathroom home (one of the bathrooms is an ensuite), and a walk out to the rear deck from the kitchen. The lower level features another good size family room. Loads of storage, brand new gas furnace and shingles. The features go on and on. Take a look at this home, it has incredible value for this area!!! Residential - lovely Cape Cod style home on double lot, features 3 large bedrooms, den, large laundry/utility, 2 full baths, formal dining room, extremely bright kitchen with eat-in area, central air (heat pump) plus forced air furnace, finished basement with rec room, workshop and walk out to garage. Prestigiously situated on treed lot with dock and boating across the private road. Make sure you check out the gardens, flowers, deck and gazebo. Owners built this house and are sad to go. This is a perfect Ennismore family home. Are you looking to relocate you & your family to a quiet country setting in the heart of Ennismore? Then this brand new refurbished home that is ready for immediate possession, is ready and waiting for you. Located in the Kawartha Lakes area and only a 15 min drive to Peterborough, you will be surrounded by Chemong, Pigeon, & Buckhorn Lakes. Being sold by original owner this 1400 square footer is a beauty & boasts 2800 sq ft of living space with its finished basement that is a must see! Do your children want to go to 1 of the best catholic schools in all of Ont? What about sports? Do your kids play hockey, baseball, soccer, lacrosse, tennis, basketball, or curling? It is all right here! Outside of this home on a spacious 1 acre property, you will find brand new sidewalks, gardens, freshly manicured mature trees, new doors, windows, soffit, fascia, and eavestroughing. Inside you will find that everything has been updated and ready to go. Ask for the list of upgrades! Residential - Looking for a beautiful family home including a large yard in a rural setting? Here it is! 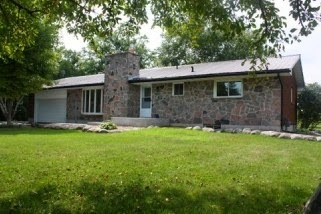 Being offered is a 2 year old bungalow located on a large country lot with a beautiful mixture of landscaping and trees. This country home offers open concept living, gleaming hardwood throughout home and wonderful kitchen for your cooking and baking needs. 4 piece ensuite and walk-in closet off of master bedroom. You can`t help to appreciate and enjoy the entrance foyer! Large deck from kitchen/dining area via patio doors. Insulated basement awaits your creativity. Over $15,000 in upgrades since purchase including stainless steel appliances. Do not miss out on this quality home.